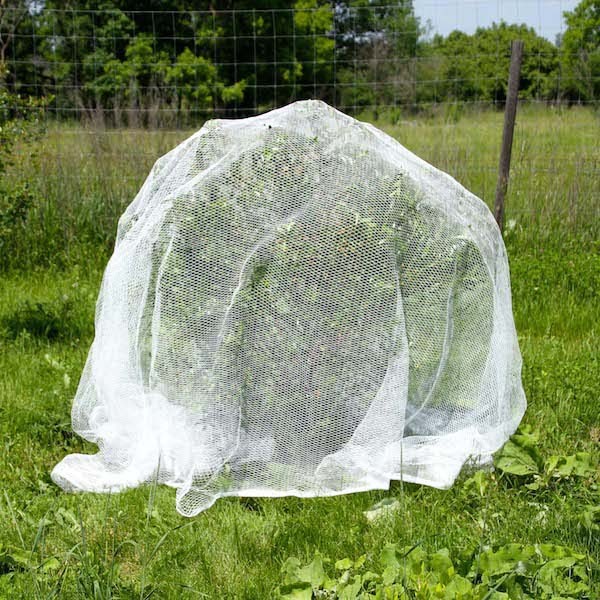 AviGard Hex Net Is Perfect For Protecting Individual Fruit Trees, Shrubs And Garden Patches. Here Hex Net Protects A Cherry Tree. 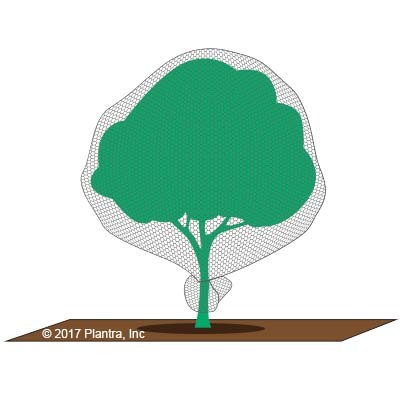 AviGard® Flex™ Hex Mesh Net - 16ft x 16ft For trees Up To 6ft tall. 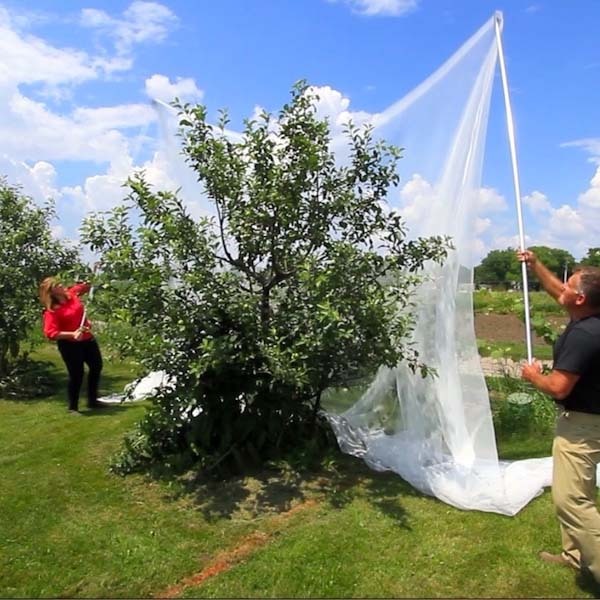 Hex Net is the answer to protect individual fruit and nut trees or berry patches. 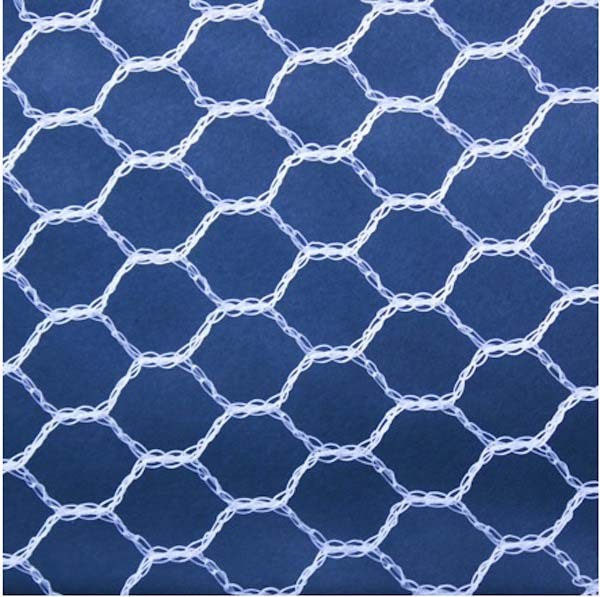 Made super-strong and durable, AviGard’s hex mesh design is our strongest seasonal net and is snap to install to ensure your hard-earned harvest becomes a reality. Avigard® Hex netting is white in color to achieve enhanced fruit quality especially in conditions where nearby structures or large trees partially limit sunlight needed for ripening. Note - Seasons* refers to 4-8 week period that netting is used to protect fruit from veraison (ripening) to harvest. 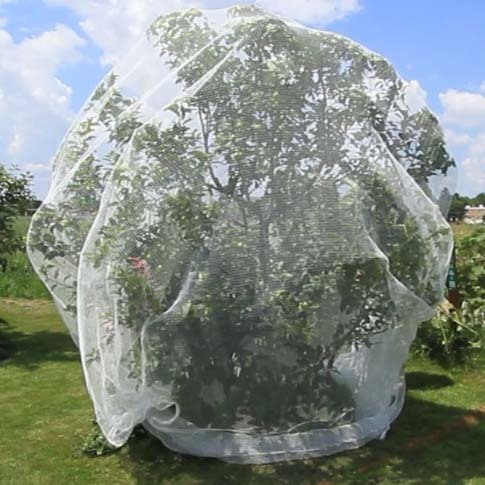 AviGard Hex Mesh Fruit Tree Netting is perfect to protect apple, pear, persimmon, cherry, peach, fig or other fruit trees. Installing these nets is a snap. Simply follow the guidelines below to make the harvest you worked to grow....yours to keep! Make sure your tree (or berry bush) is away from any overhead power lines or other obstructions. You will need to lift the net up and over your tree and avoid overhead obstacles. 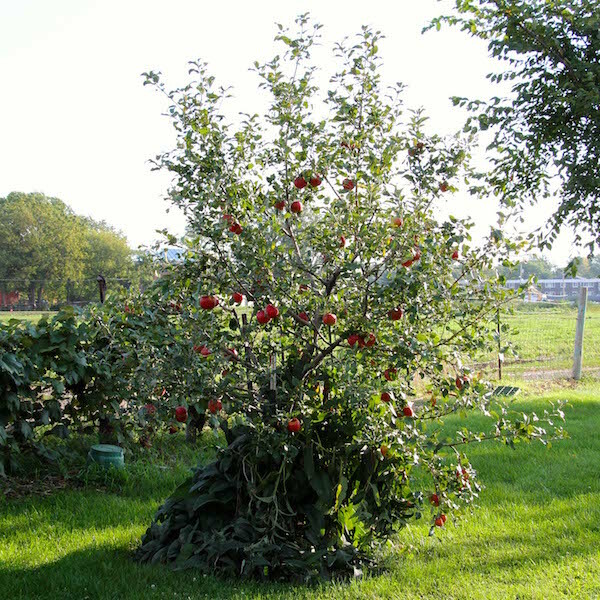 The apple tree to the left, full of ripe fruit, is in a safe and unobstructed location perfect to install netting. 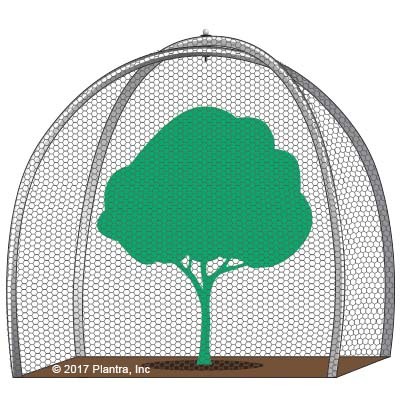 Before attempting to install Hex Mesh Fruit Tree Nets it is always best to first s-t-r-e-t-c-h the net open to its full installed dimensions. Doing so makes it much easier to drape the net over the tree or bush to achieve the proper installed dimension. Tip: Each net corner is marked with a ribbon. Find one corner and anchor it before attempting to stretch net open. After anchoring the 1st corner, move to an adjacent corner (not the diagonal or opposite corner) and stretch the net out until the hex meshes take on a uniform shape. Anchor this corner and repeat for remaining two corners. The best way to lift the net over the tree or bush is to use poles to grip the net before installing. Two poles made from metal conduit, wood, bamboo or stiff PVC pipe, 8ft or longer will do the job. Using poles greatly increases lifting height and will minimize the need to pull the net across the tree canopy surface which can harm ripening fruit. You will want to equip one end of each pole with a hook or clip to grip the net during installation. Tip: Simple grip clamps like those shown at right can be easily and securely attached to metal conduit (shown here) or to other materials with duct tape. Position the net you have pre-stretched open on one side of the tree or bush. With a helper, attach the lifting poles to the leading net edge and in one continuous motion, simply lift the net up and over the tree or bush and down the other side. To remove the net, simply reverse the process. You've draped the net over the entire tree or bush protecting from above and from the side. Now its time to pull the netting edges snug around the base to create a seal to keep birds and other critters from entering underneath at ground level. 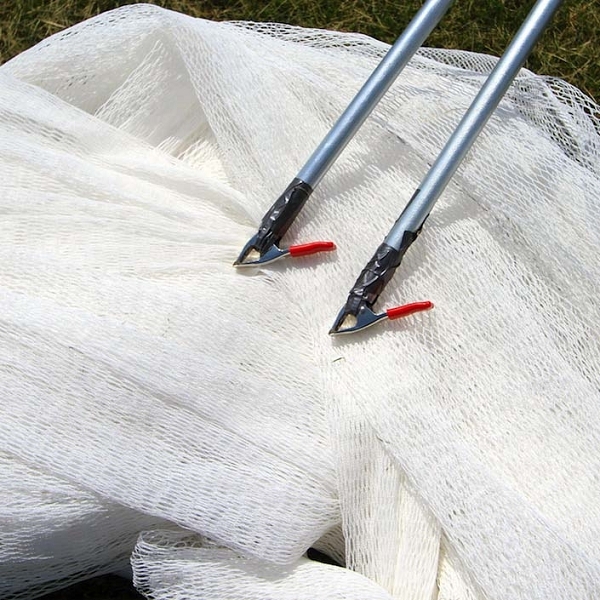 Tip: In windy locations pull the net edges snug around the trunk and wrap with a piece of heavy string or light rope. Weights or sod pins can also be used to anchor netting and preventing it from billowing off the ground. Step 6 - Rest Assured Knowing Your Crop Is Safe For The Harvest To Come!